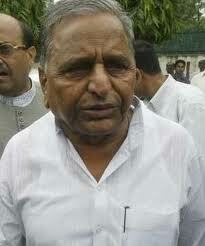 Samajwadi Party(SP) chief Mulayam Singh Yadav is all set to launch his party's election campaign on November 16. "Mulayam will address a rally in Etah on November 16," a senior party functionary said here today. To galvanise the party ahead of the polls early next year, the SP chief's son Akhilesh Yadav, who is also the party's state unit chief, is already touring the state as part of his Kranti Rath yatra. Seeking to woo farmers, especially sugarcane growers in western parts of the state, SP leader Shivpal Singh Yadav demanded higher remuneration for their produce. Raising the cane price by Rs 40 a quintal to Rs 250 for the 2011-12 crushing season is not enough, he said, and demanded that the rate be fixed at Rs 350. He alleged that of the 24 sugar mills opened during the SP regime, the Mayawati government has sold 22 at throw away prices.